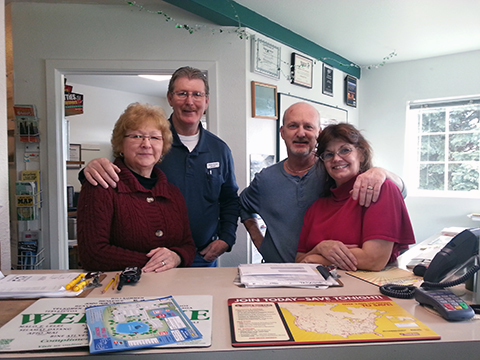 Thank you for visiting Lakeside RV Park! If you're feeling down from spending too much time inside, don't worry - Lakeside RV Park is a pleasant site to spend some time. Our staff is always there to assist you and all the available activities have many different kinds of folks coming here. Outdoor recreation is bountiful in the areas that surround Lakeside RV Park. Activities include whitewater paddling, swimming, fishing, and playing golf. Many people opt for our campground so they can visit Mukilteo State Park. A day at wonderful Sunset Beach, located near Lakeside RV Park, is a great idea and time spent at Matthews Beach is always good. If you want to explore nature in an enclosed setting, go to Woodland Park Zoo while staying with us. A game of bowling is exciting at any of the three nearby bowling alleys: Glacier, Evergreen & Majestic Lanes. Take a tour to nearby Gold Creek Equestrian Center and ride a horse. And what better way to take pleasure in a day than with a game of mini golf at Jefferson Park Golf Course. There's just no way somebody can get bored while staying here at Lakeside RV Park. The wide selection of local attractions and all the outdoors recreation will make you happy you came!